The first things you will notice while in Morocco are the warm sunlight, the spicy scents, and red houses that blend with the color of the desert sand. It is really beautiful country which can easily free your imagination. The beautiful beaches, the wonderful Atlas Mountains and the eternal Sahara Desert will make your vacation in Morocco a real adventure. Morocco is very multicultural, multilingual and multi-religious country. That is because of the rich ancient history of the country, dotted with many major events and significant changes. There are many ancient monuments and attractions which are great evidence for the glorious past and bright future of the country. The first signs of civilization in the recent Morocco dated more than 10 000 years ago. First, the territory was inhibited by the people of the Capsian culture. Then the Phoenicians settled there. They built many towns, ports and trading centers. After that the Berbers and the Romans left significant traces of their culture, language and religion. Several centuries later, North Africa and Morocco were subjected to attacks of the West Goths, Vandals and Byzantines. They also left pieces of their culture and traditions. That’s why Morocco is so colorful and interesting for the rest of the world. All the civilizations that ruled over the territory of Morocco enrich in their own way the great history and culture of the country. 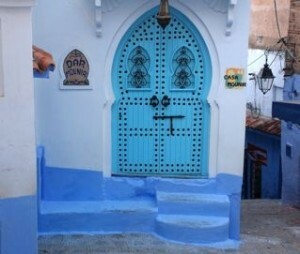 Today, many examples of the glorious past of the country can be seen everywhere in every part of Morocco. The Arabs played the main role in the history of Morocco and the development of the country. They conquered the territory in the 7th century A.C. and their religion, customs and traditions still can be observed in Morocco. The main religion of the country is Islam. Nowadays, Morocco is really beautiful country with its desert winds, fascinating oases, royal palaces, and friendly people who speak many different languages; all will make your vacation pleasant and unforgettable. The unique colorful buildings, the delicious cuisine and the ancient monuments will definitely make you stay in Morocco as long as you can. There are many beautiful cities rich in history and emotions which you can visit in the country. Some of the most visited cities are Marrakech – The Pink City and Casablanca. Marrakech will be your last stop before the endless sands. The city is divided into two parts; desert and mountain, old and new, traditional and modern. Casablanca is the biggest port of Morocco. The city is very beautiful, with great beaches and many options for entertainment. In Tangier – the White City you will see the living Berber, Roman and Greek culture. The beautiful white houses and the hot bright sun will easily make you a part of this wonderful city. There are many stories and legends which will keep your attention for hours. Rabat- the capital of Morocco is also very amazing city. The city looks like a “labyrinth” with all the narrow and confusing streets. Most of the houses are in white and blue color, bathed in light reflected from the Atlantic Ocean. 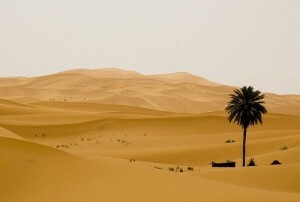 Morocco has become a more and more desirable travel destination for many tourists. The rich history and culture combined with modern attractions will really make your vacation in the country one of the best trips you will ever have in your life.